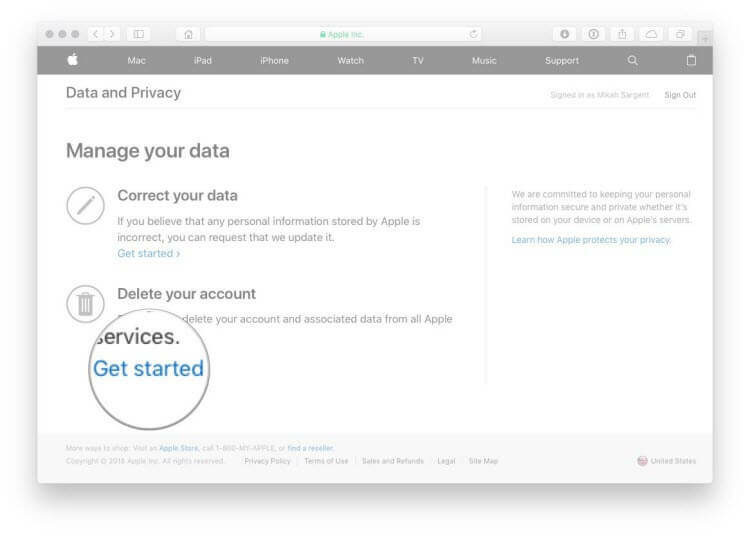 Apple has changed the way to delete Apple ID; you can now delete your Apple ID permanently using Apple’s new Data and Privacy portal. Therefore, if you have a strong motive to permanently delete your Apple ID, you can follow the guide we’ve outlined and discussed in this article. 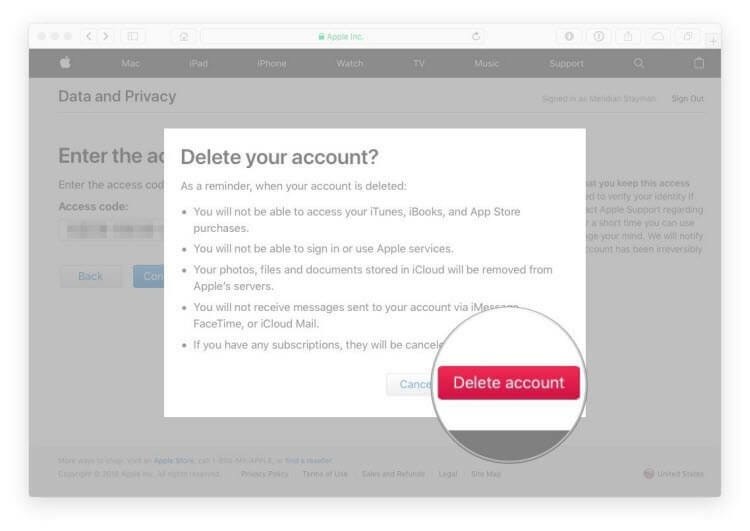 Moreover, before we dive into a full discussion on how to delete Apple ID permanently, we would like to explain what happens when you delete your Apple ID to ensure you understand the implications. Later, we would also discuss how to delete Apple ID permanently if you’ve forgotten your password. All your data and information associated with Apple services will be permanently erased. You won’t be able to see your messages on iCloud Mail, FaceTime, and iMessage. All photos, videos, music, and other media files stored in iCloud will be wiped off. You’ll lose access to iMessage, FaceTime, and iCloud Mail, Apple Pay, Apple Books, iTunes Store, Apple Books, and Apple Store purchases, etc. Apple appointments you’ve booked with Apple Store will be closed, and all open Apple Care cases will be closed. Step 1. Open a web browser and go to privacy.apple.com. Log in with your Apple ID and password. Step 2. 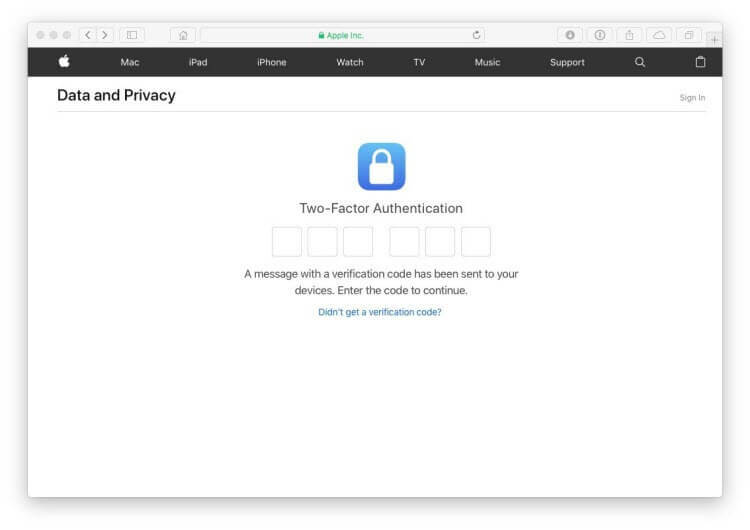 If prompted, enter your Two-Factor Authentication code and click “Continue”. Step 3. Search for the section labeled “Delete Your Account” and click “Get Started”. Step 4. 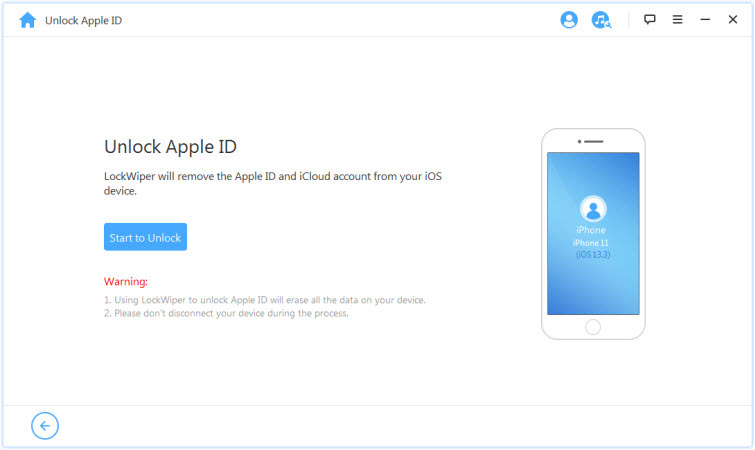 Now, preview the information regarding the deletion Apple ID, and follow the instructions on the page. Step 6. Review the information about deleting your account again before clicking “Continue”. Step 7. Read the “Deletion Terms & Conditions” and check the box to confirm you’ve read and agreed with the conditions, and then click “Continue”. Step 8. Select a contact method which will be used to get account status updates and click “Continue”. Step 9. Print or write down your Unique Access Code, which can be used to cancel the deletion request or contact Apple Support. Step 10. Enter the access code, and click “Continue”. Step 11. Click “Delete Account” to confirm for deleting your account and associated data. Step 12. Apple will start the verification process before deleting your account. Note that your account will be active during the 7 days verification period. 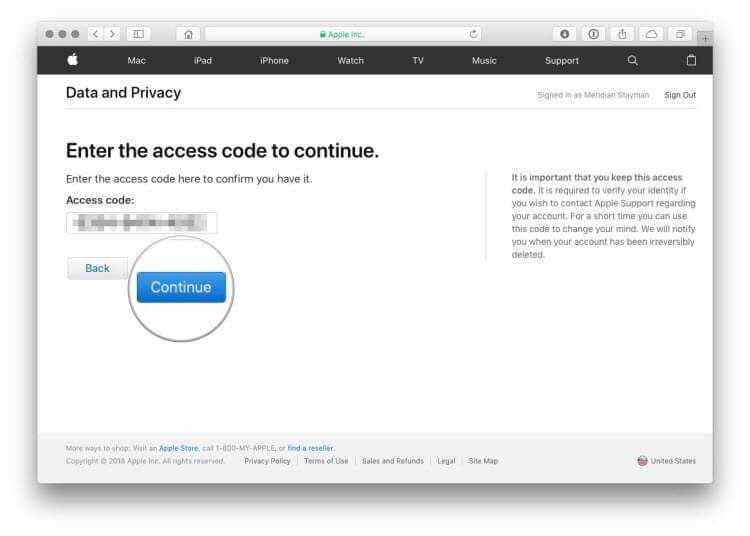 When it completes, you won’t log in Apple website using the account any more. There are two ways to delete Apple ID from iPhone. You can delete it even without password. Deleting Apple ID without password can be a very hard task especially if you bought the iOS device with an Apple ID associated to it. However, iMyFone LockWiper can delete Apple ID from your iPhone without any password. It’s specifically developed to unlock Apple ID without password so you can create a new one. Instantly remove Apple ID from iPhone/iPad/iPod touch without a password. 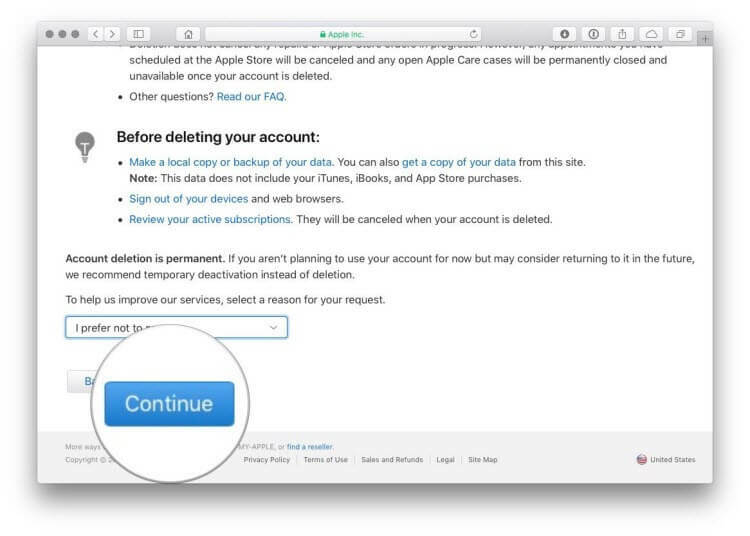 Perform Apple ID deletion in 3 steps and within 5 minutes. Successfully delete Apple ID even when Find My iPhone is enabled. You can enter new Apple ID or create a new one after deletion. Your device will be unlinked with the previous Apple ID and won’t be tracked by it. Step 1. Download and install iMyFone LockWiper on your PC or Mac. 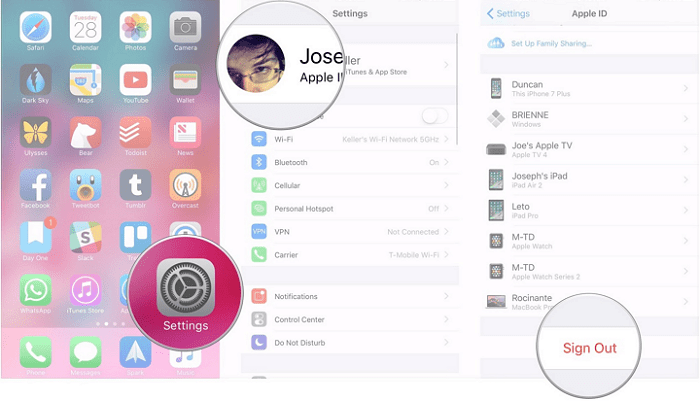 Launch the program and select the "Unlock Apple ID" mode from the Home interface. Step 2. Connect your iPhone or iPad to the computer using USB cable. Click “Start to Unlock” to proceed. Step 3. LockWiper will immediately start deleting Apple ID. If Find My iPhone is on, you need to follow the onscreen steps to reset all settings on your iPhone first. Then, the deletion will get started. The whole process will take less than 5 minutes, please kindly wait for it to complete. Step 3. Tap “Delete from My iPhone”. Step 5. Select whether you want to keep copies of your iCloud data. Step 6. Tap Sign Out to confirm. 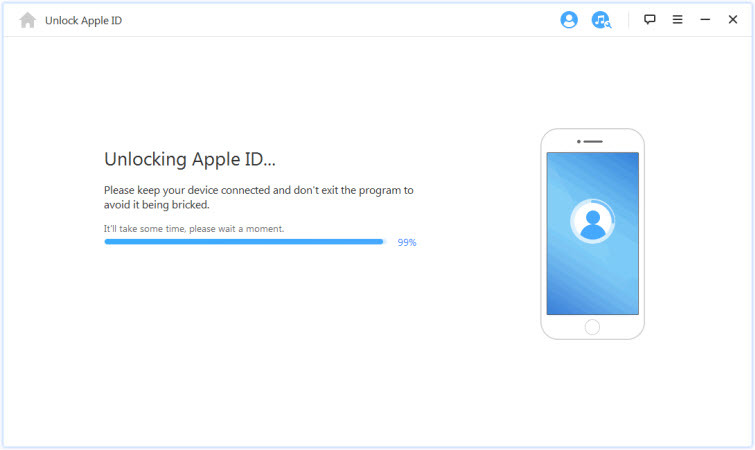 When it’s done, your device will be unlinked from the Apple ID. We have successfully discussed how to delete Apple ID with or without a password. You can check through our catalog of articles relating to Apple ID removal if you want to know more about removing or deleting Apple ID. 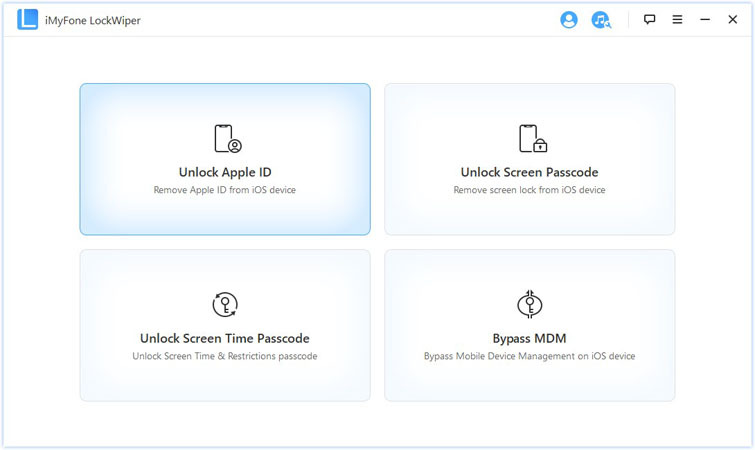 Don’t forget to get a copy of iMyFone LockWiper because it’s the best solution for deleting Apple ID.